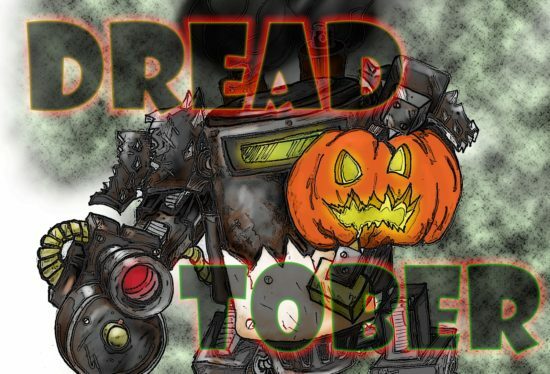 Here is the final post for the 12 Dreadtober entries that have taken place on my blog. 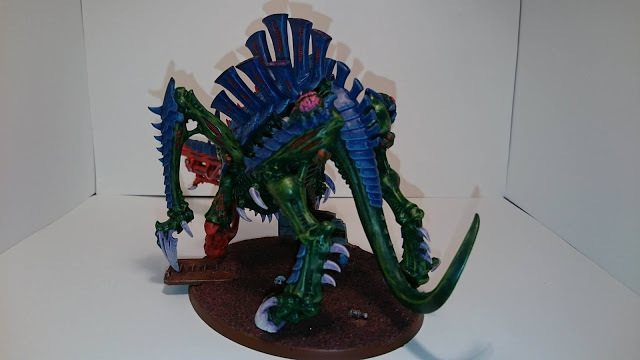 The majority are completed and some astounding work has been undertaken. 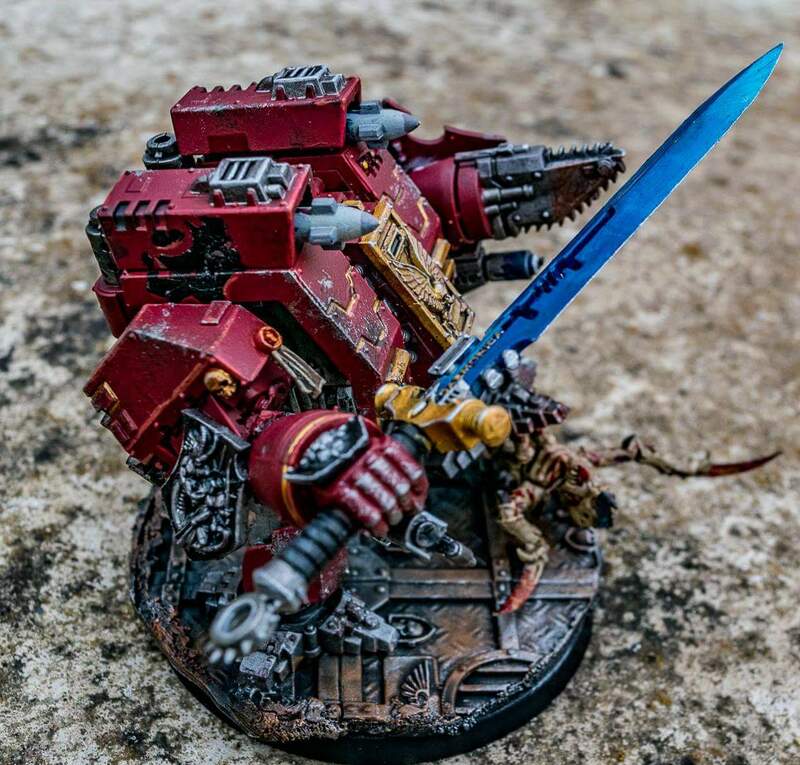 Time for one last showing of a wealth of destruction. 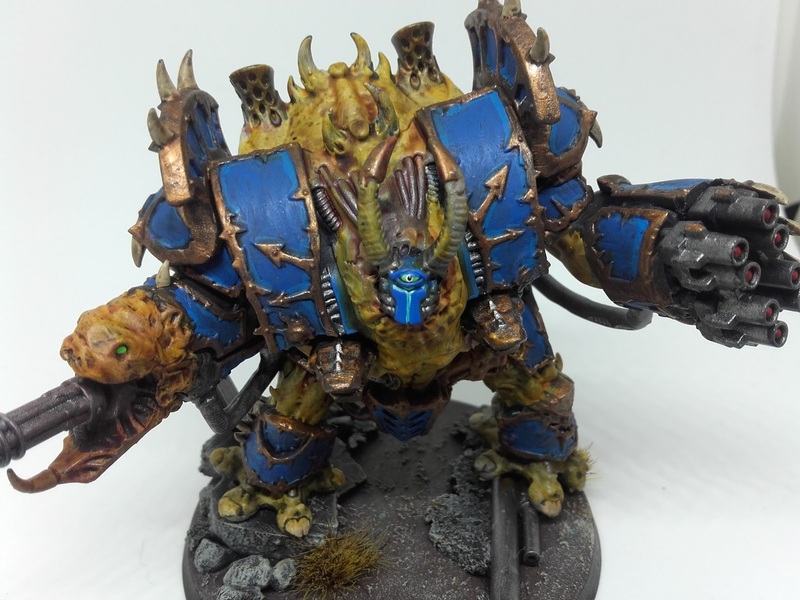 Thousand Sons Hellbrute – Rory(aka me) – Completed! 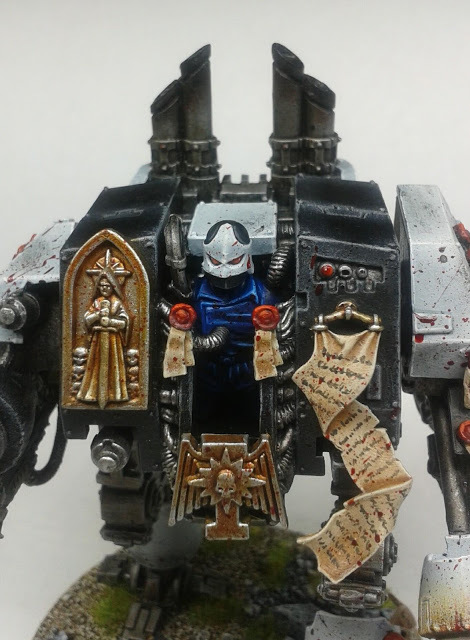 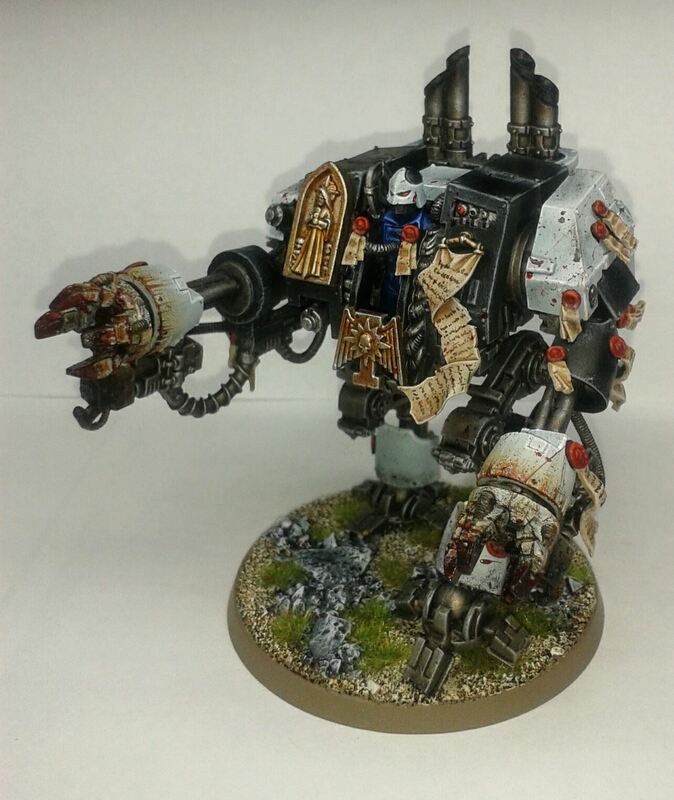 Ironclad dread – Dessie – Completed! 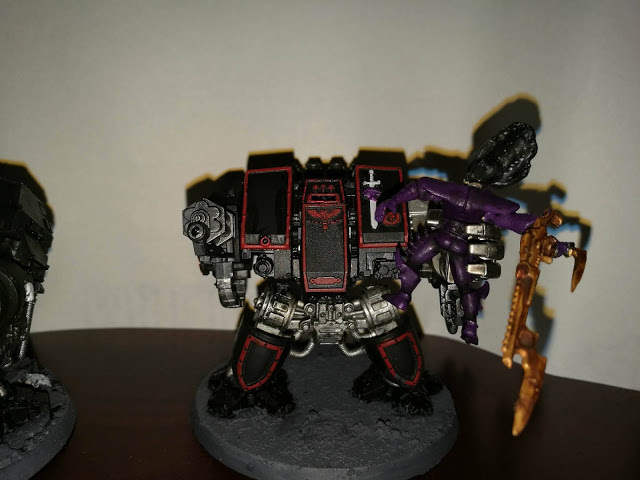 Ironclad Dreadnought “Mandrake” and his little friend, which seems to be a theme in Dessie’s Dreadnoughts. 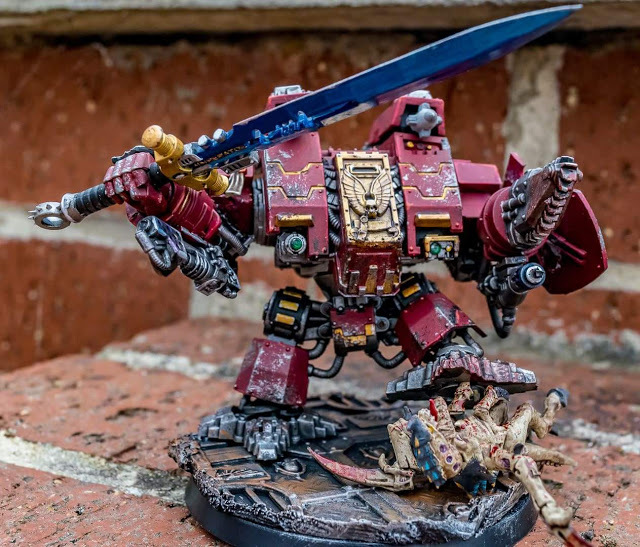 Ironclad Dreadnought “Mandrake” – the Rosé motif throughout the model. 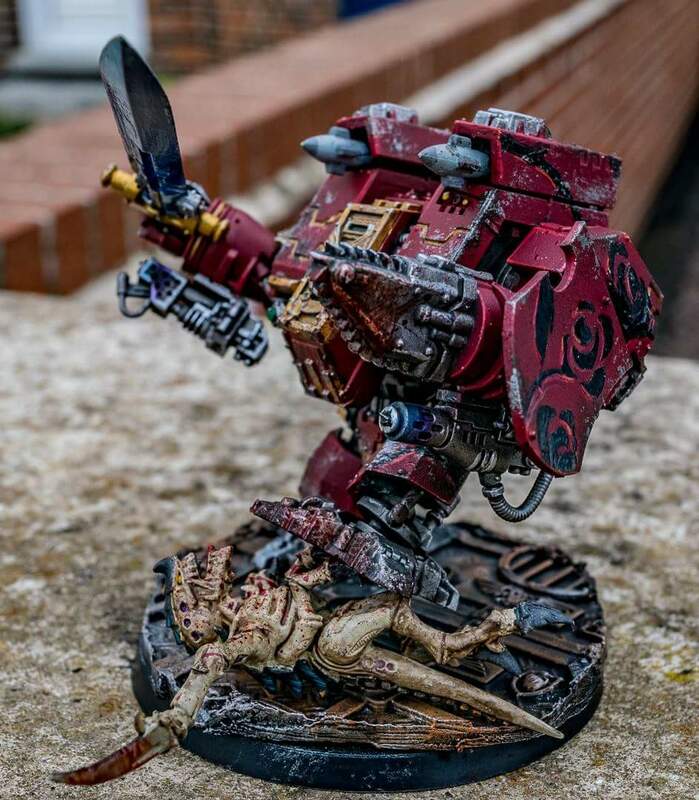 Ironclad Dreadnought “Mandrake” – SQUISH! 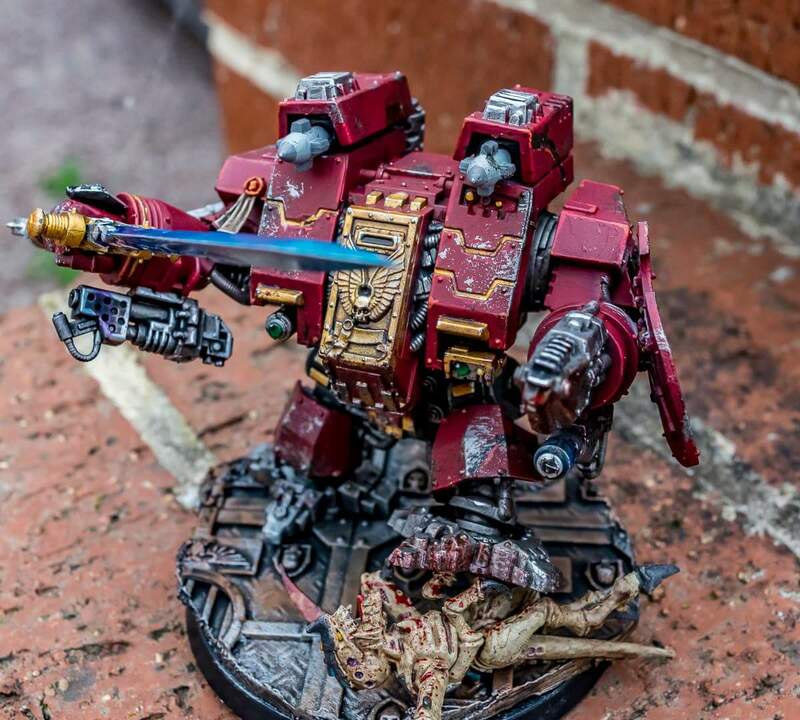 Ironclad Dreadnought “Mandrake” – I love how the sword looks. 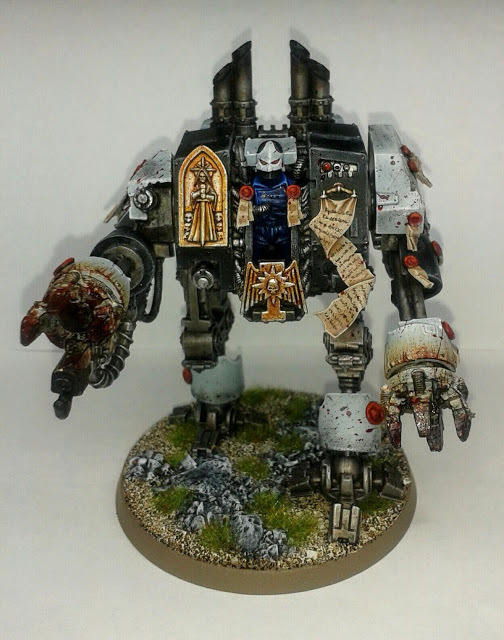 Venerable Dreadnought – DaleExMachina – Completed! 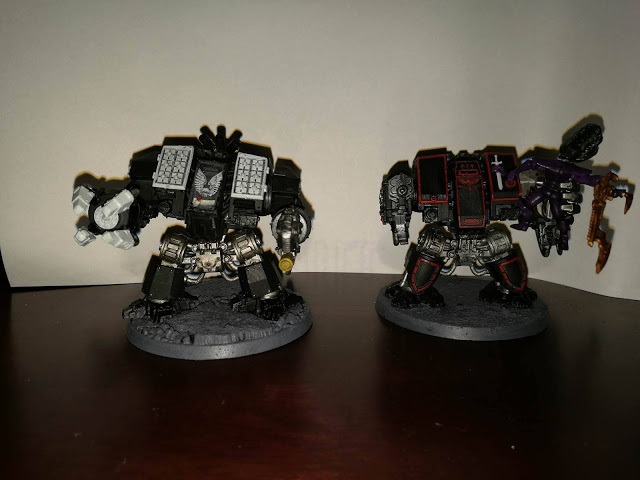 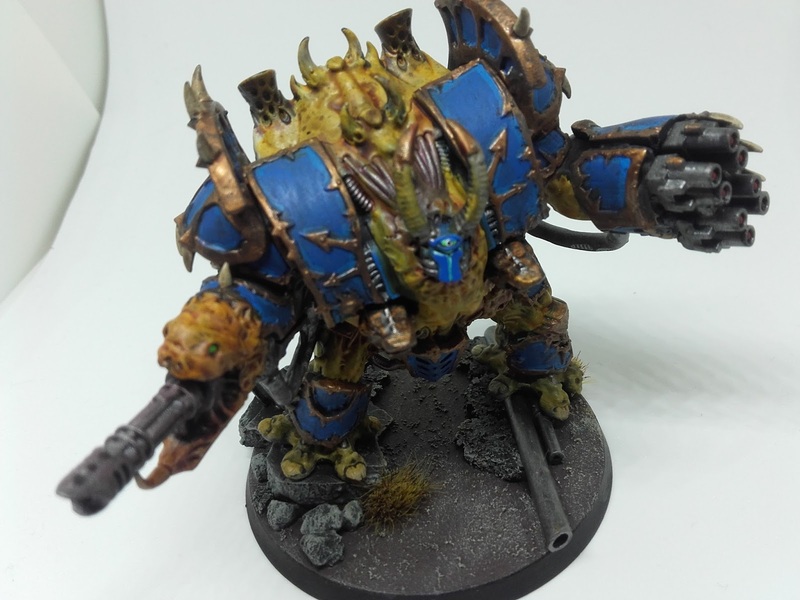 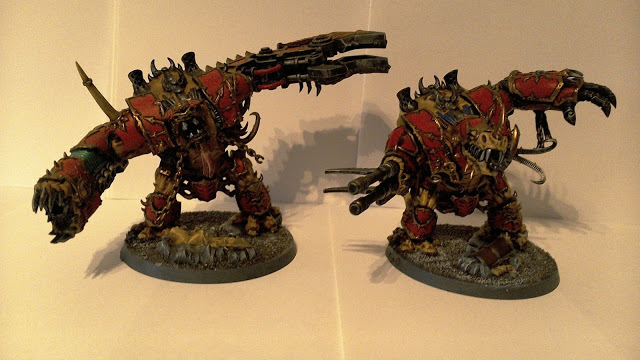 Venerable Dreadnought – he got a buddy! 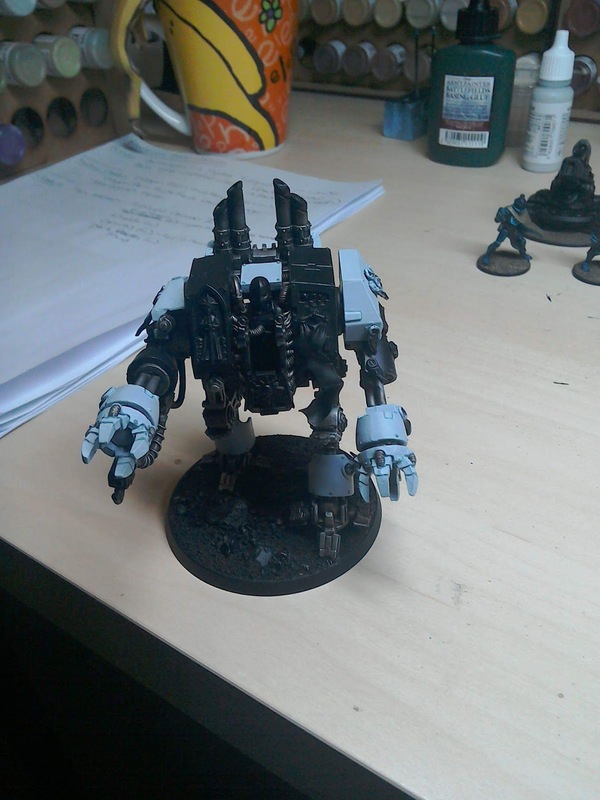 Venerable Dreadnought – the first. 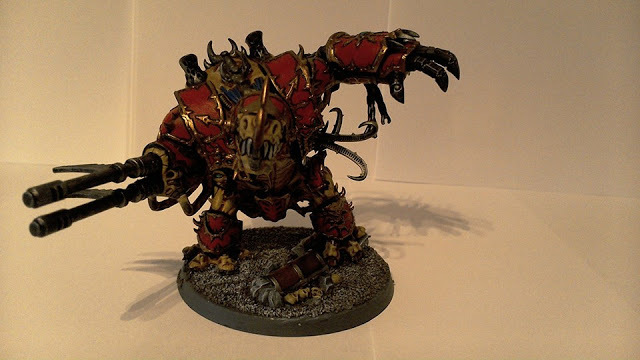 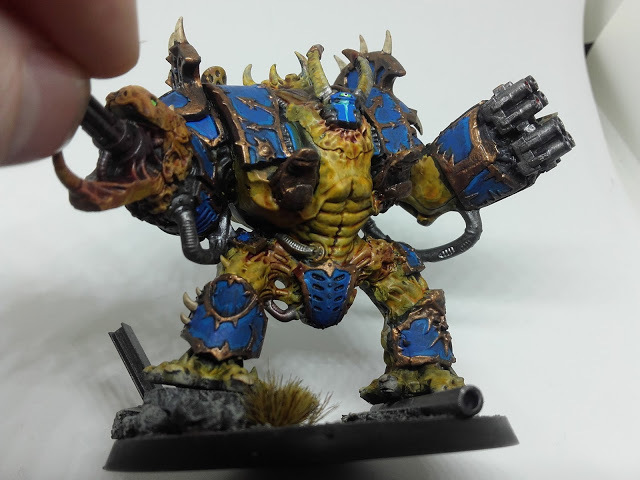 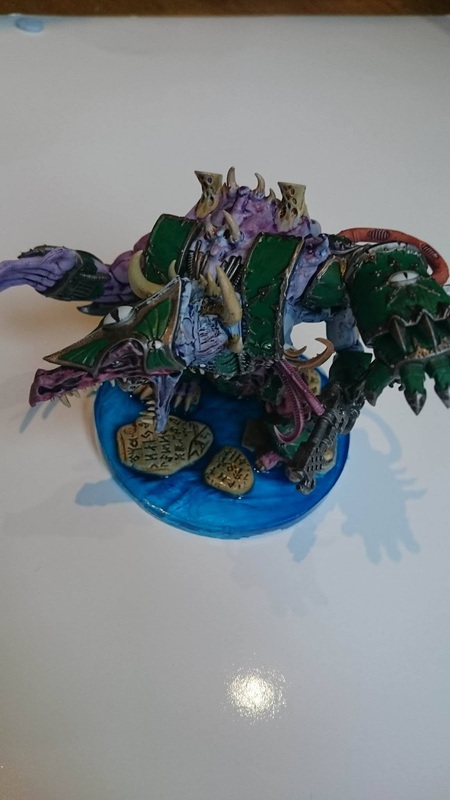 Helbrute – Pluckylass – Completed! 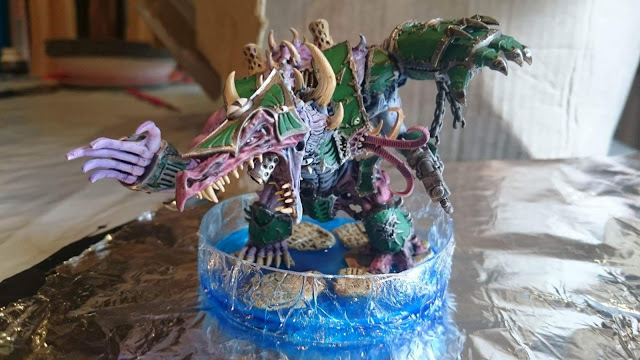 Finished Hellbrute “Helly” standing in its still drying water effects base. Finished Hellbrute “Helly” standing in its still drying water effects base. Stone details. 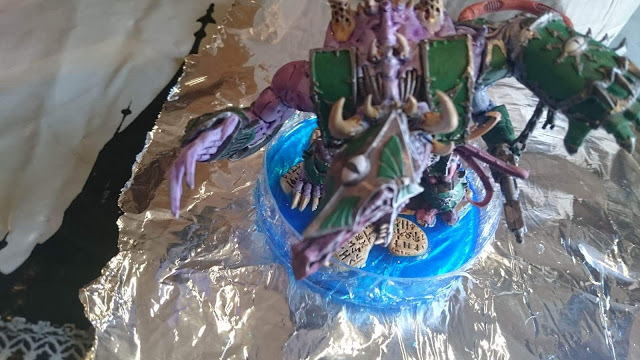 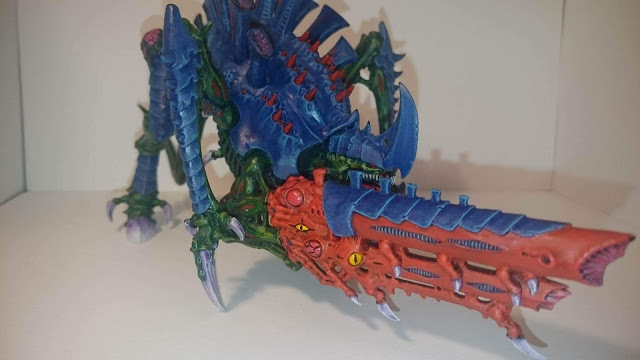 Genestealer Cult Sentinel – Pluckylad – Completed! Genestealer Cult Sentinel – Meeting the new boss, I’d hide behind a rock as well. 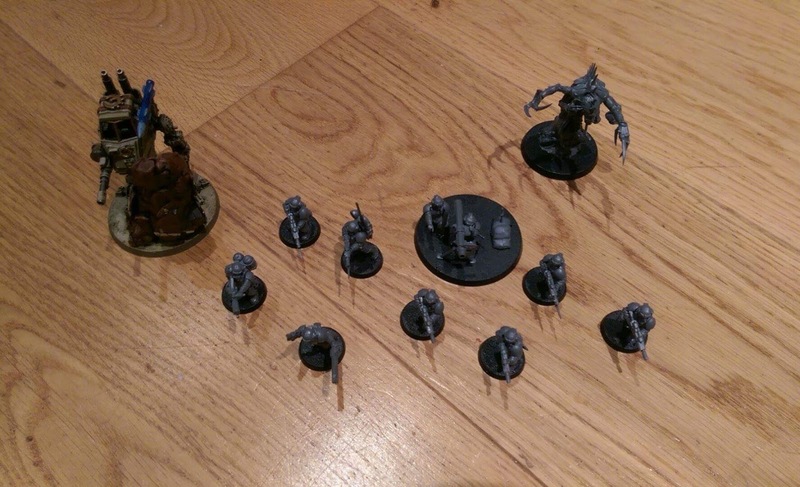 Genestealer Cult Sentinel – back up arrives. Helbrute – Commissar Feldwick – Completed! 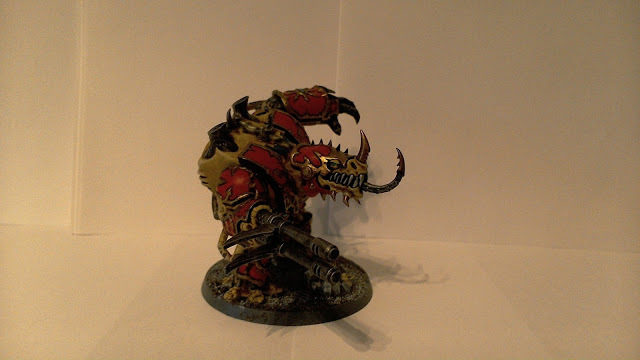 Tyrannofex – Marcus Sebeca – Completed! 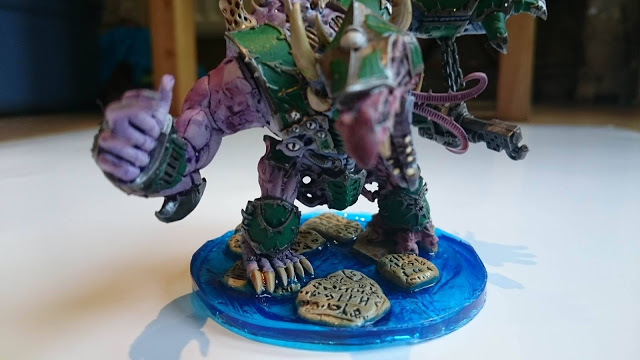 “Working on a single large model has allowed me to fine tune the colour palette, working out what techniques work best for smaller and larger models, whilst allowing for extra detail and attention on the larger model. Tyrannofex – all finished bar the base. 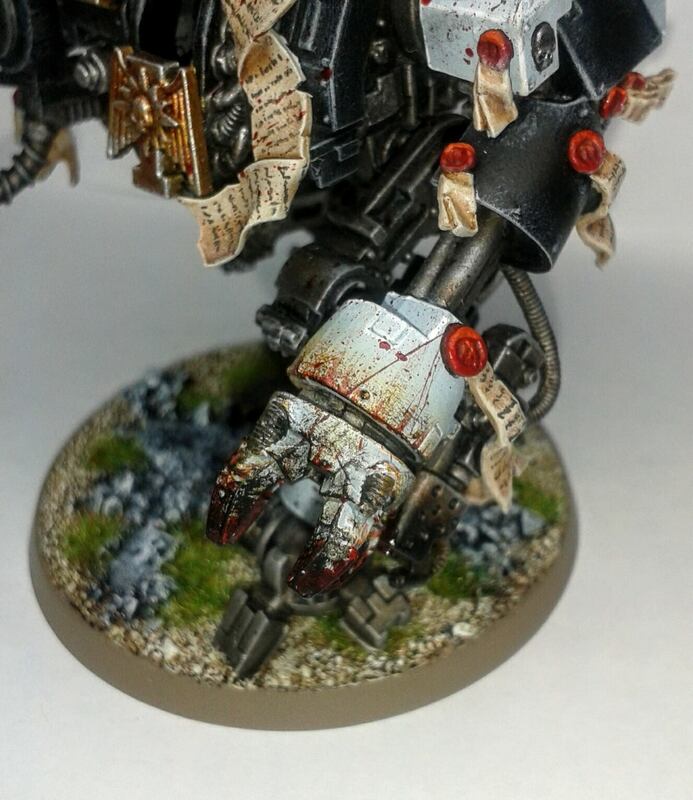 Love the yellow eyes on the cannon. 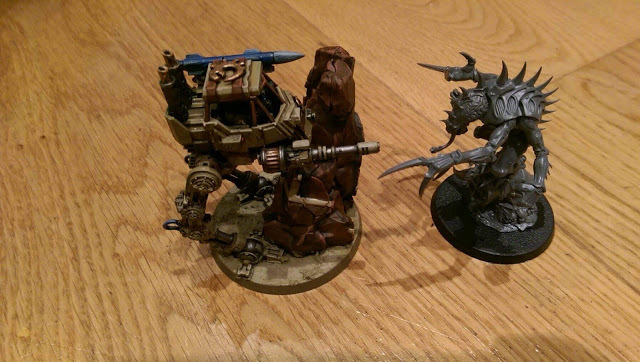 Tyrannofex – base is barely big enough. 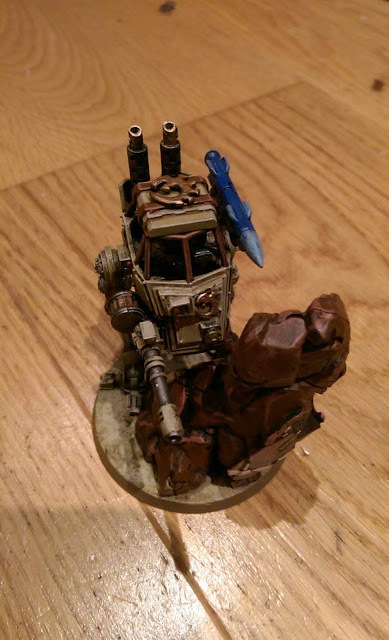 Talos Pain Engine – tOther – Completed! 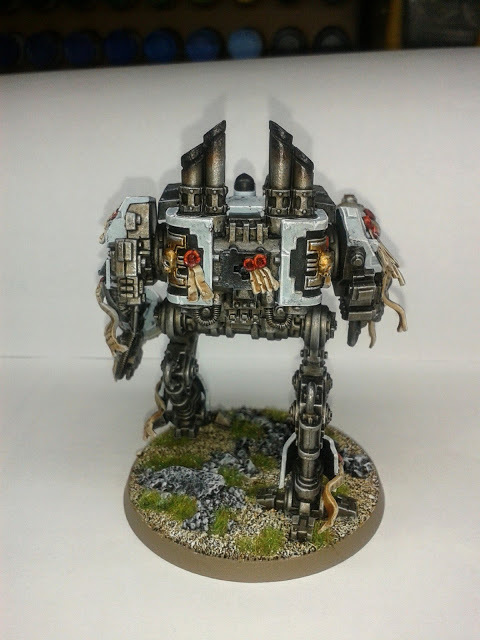 Talos Pain Engine – its good side! Penitent Engine – Kirsten – Completed! 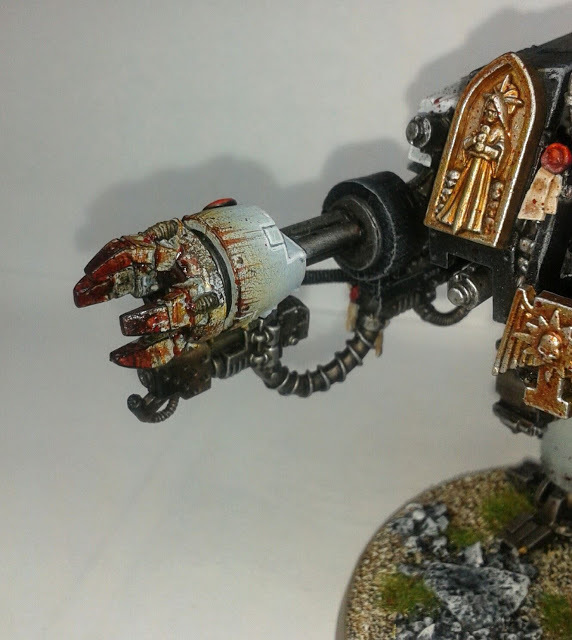 Penitent Engine – One week later! 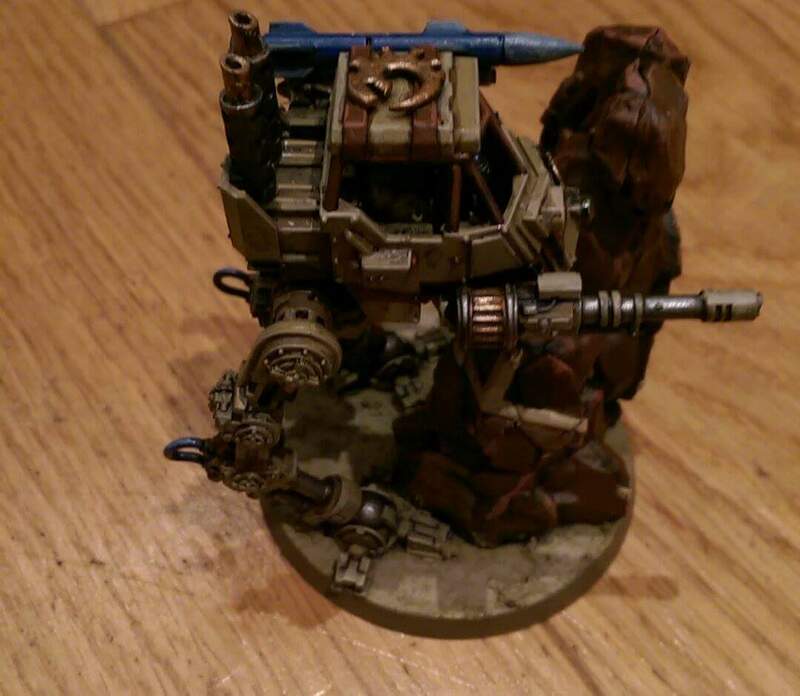 Penitent Engine – One week later! 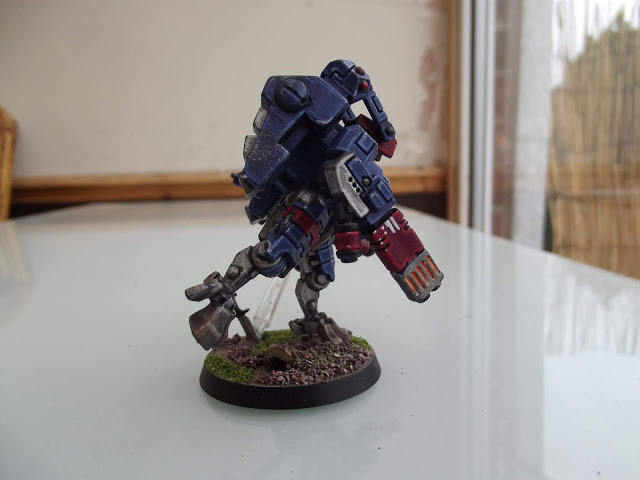 Quite the jump. 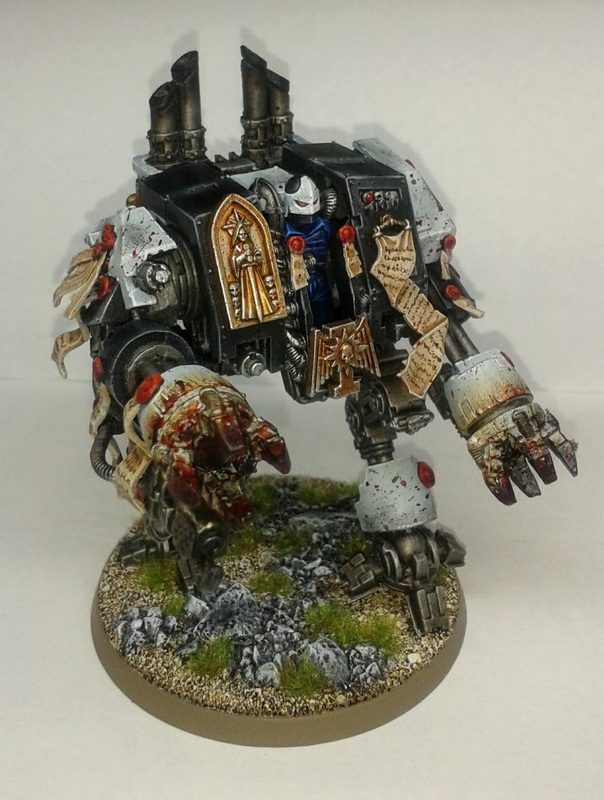 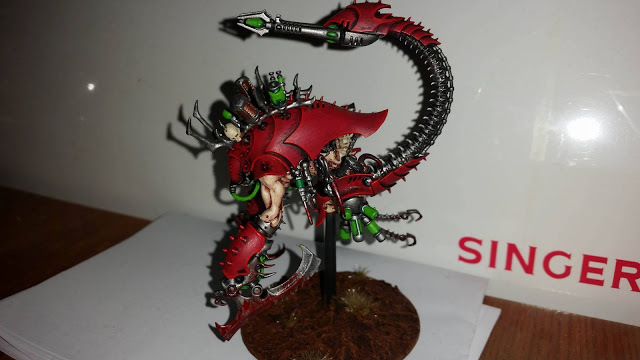 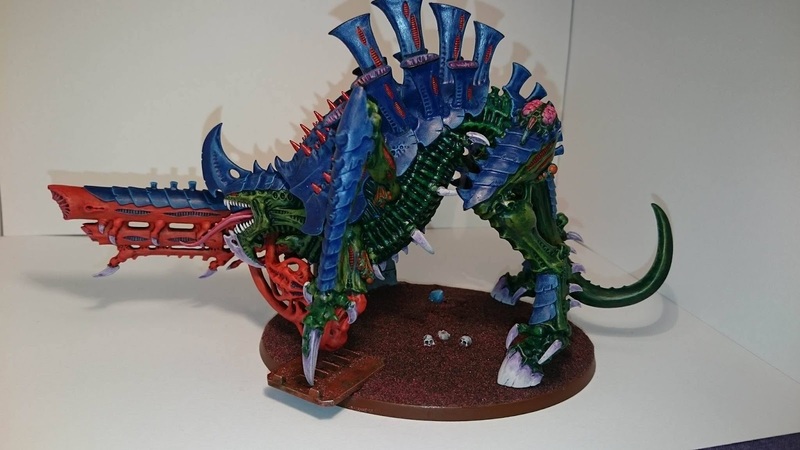 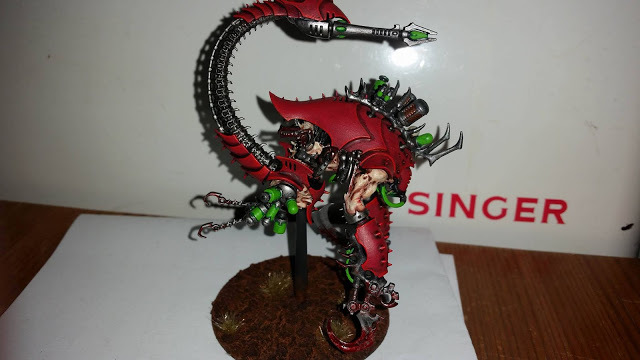 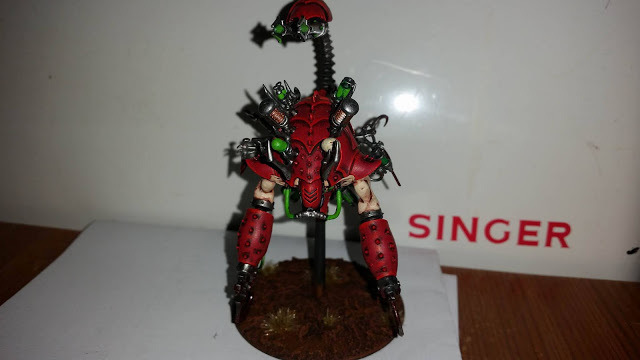 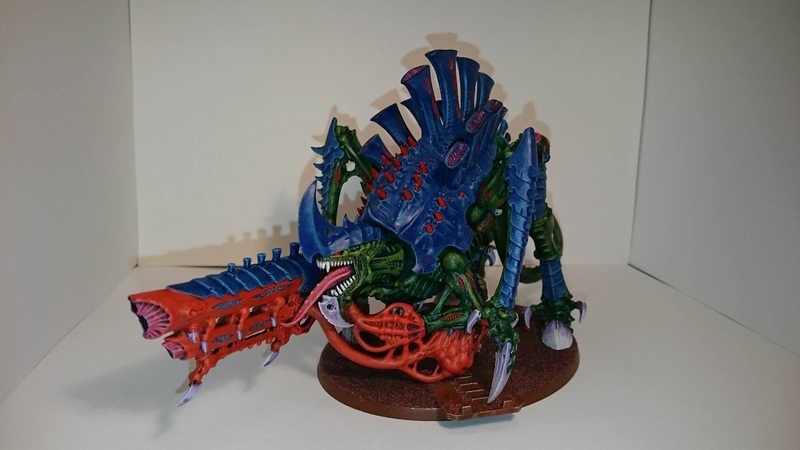 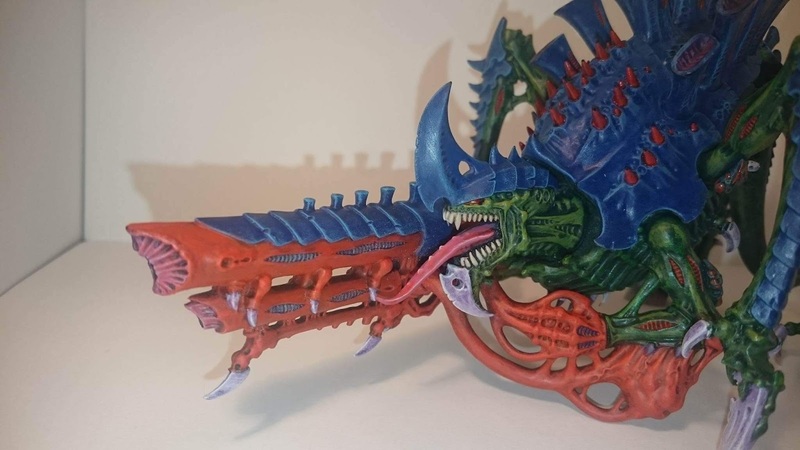 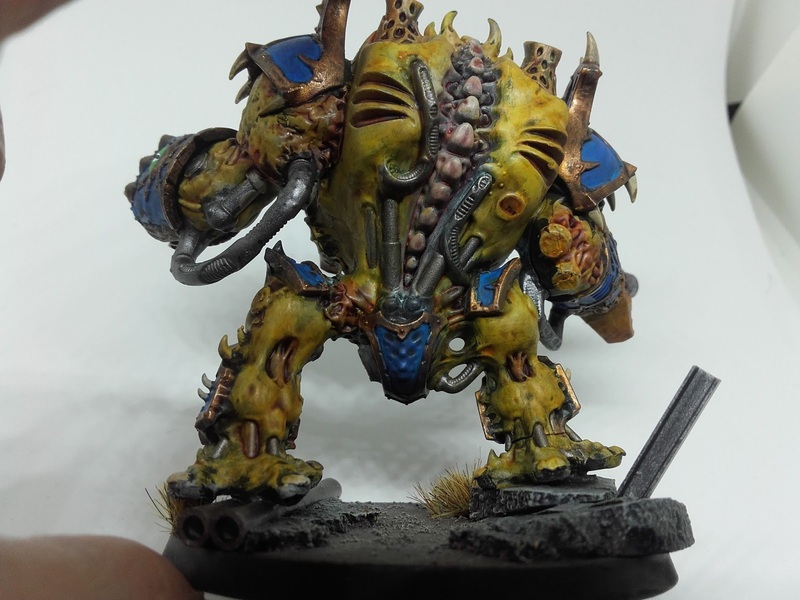 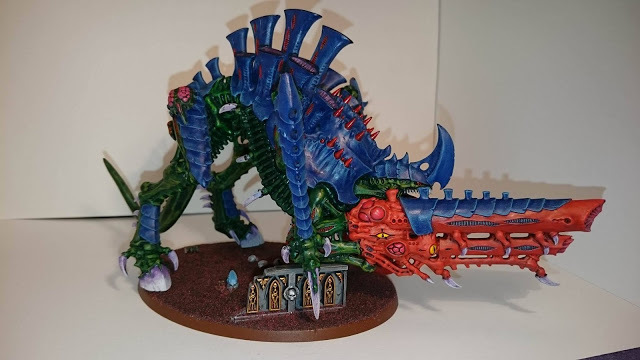 Penitent Engine – Baby got back! 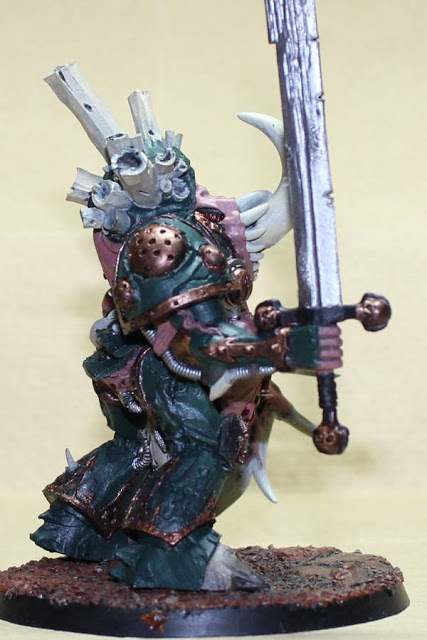 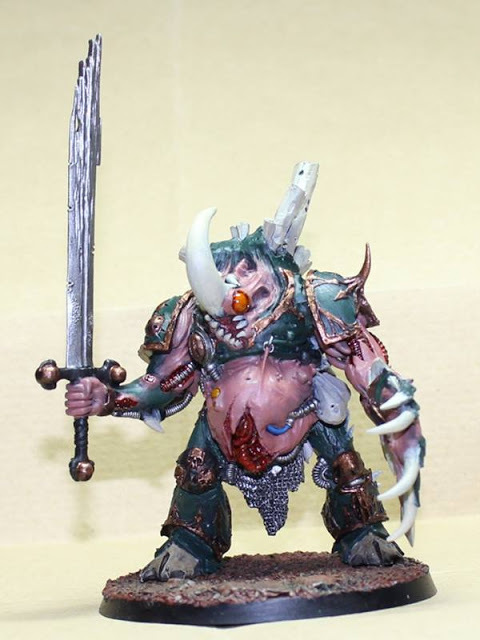 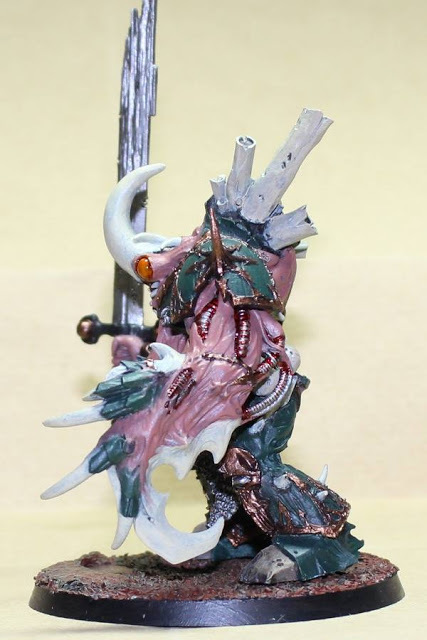 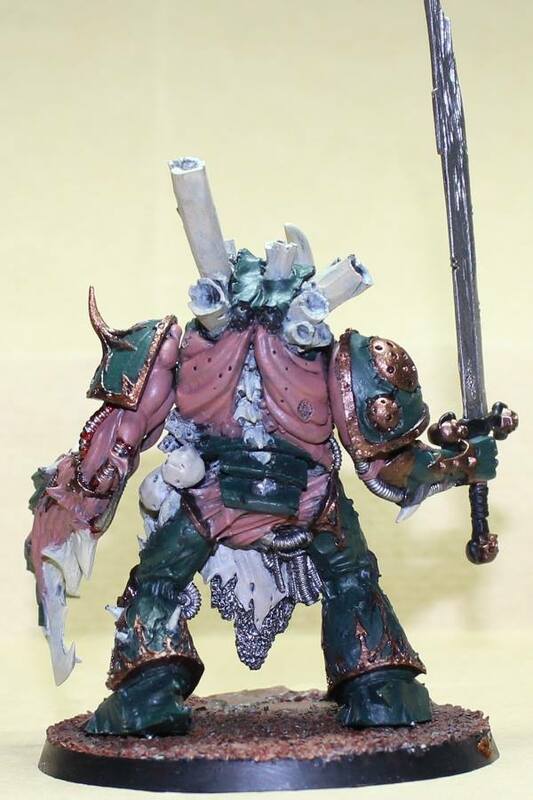 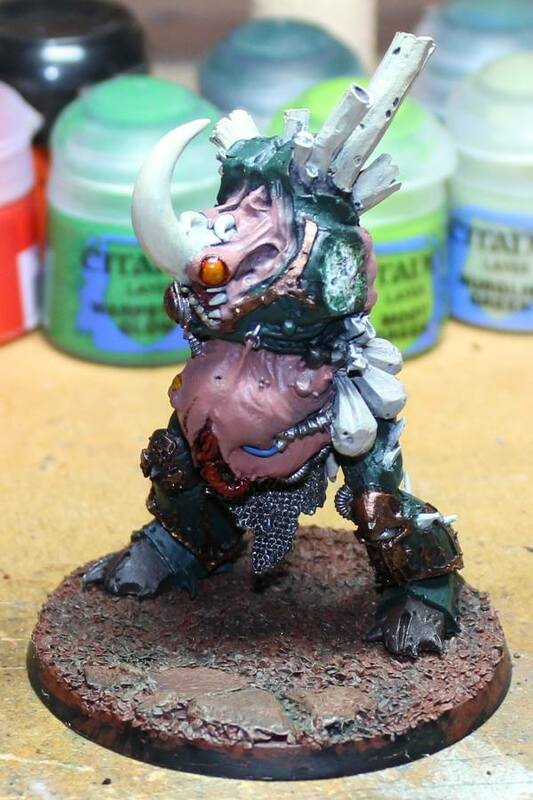 Yersinis, Demon Prince of Nurgle – One beady eye. See Dreadtober Part 4 for Kroff’s finished Death Croissant. Tau Battlesuit – Mo – Completed! 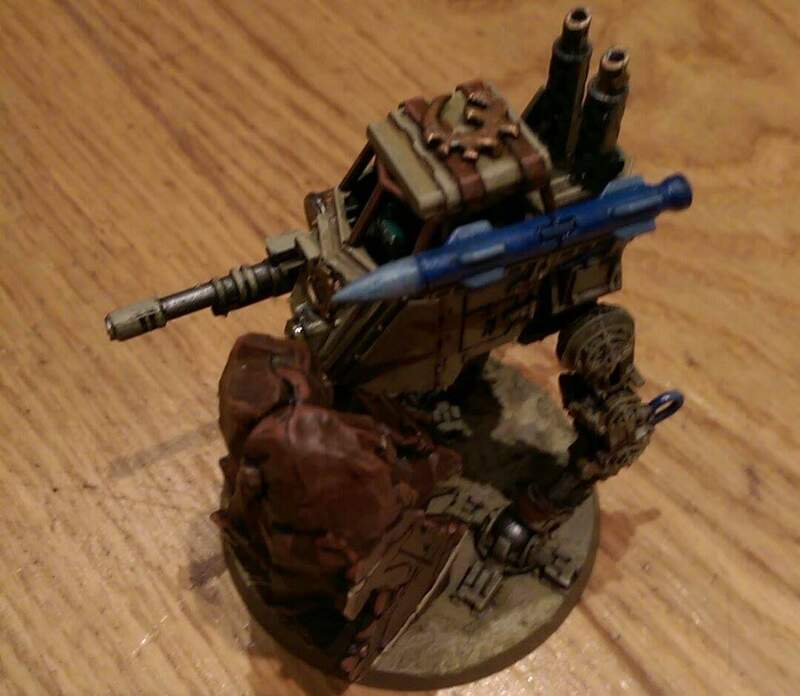 Tau Crisis Battlesuit – details. 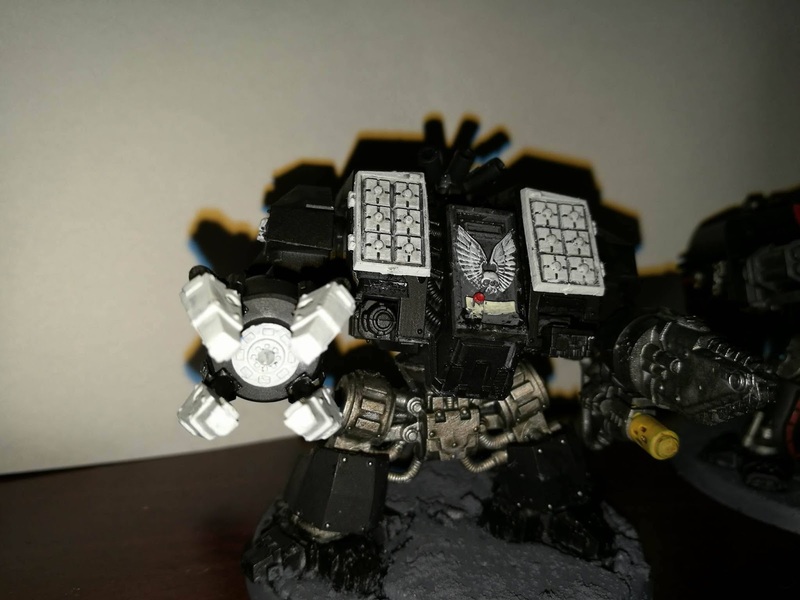 Loving the wear and tear done this suit and the added drone. 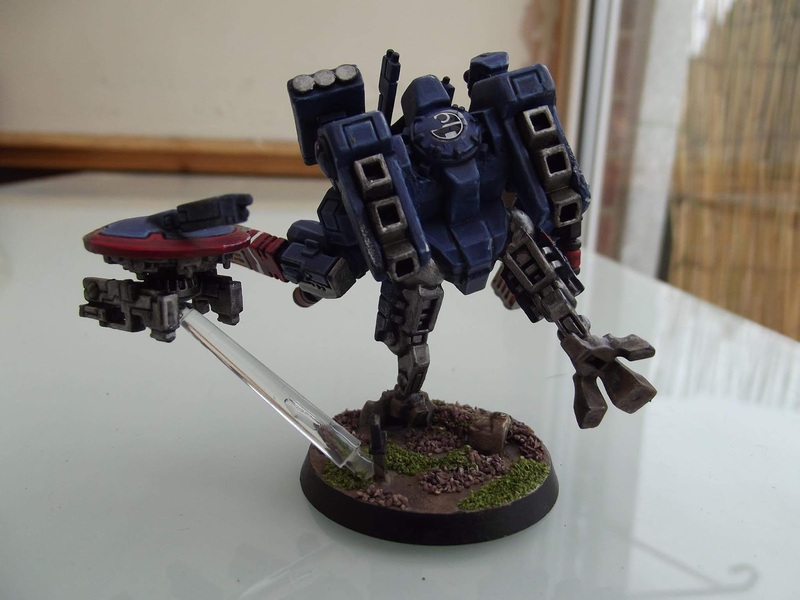 Tau Crisis Battlesuit – jump pack. 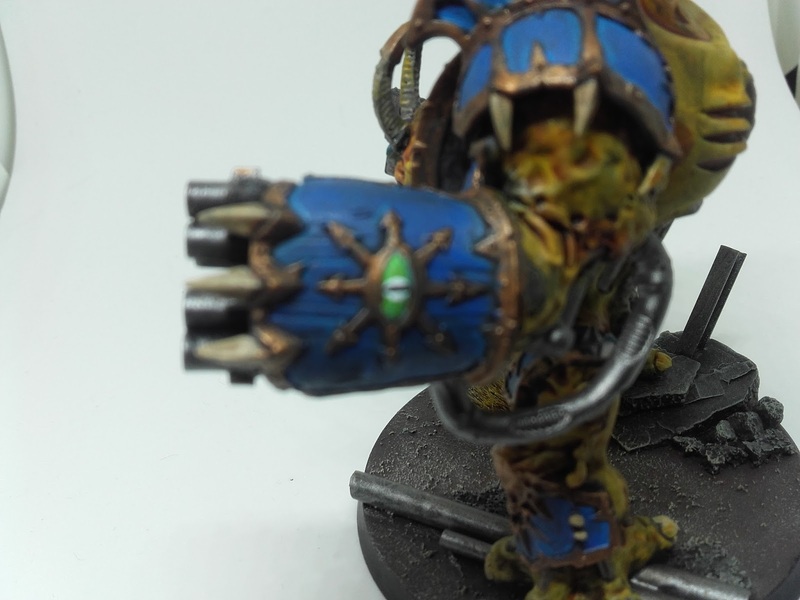 Mo hated doing the plasma glow. 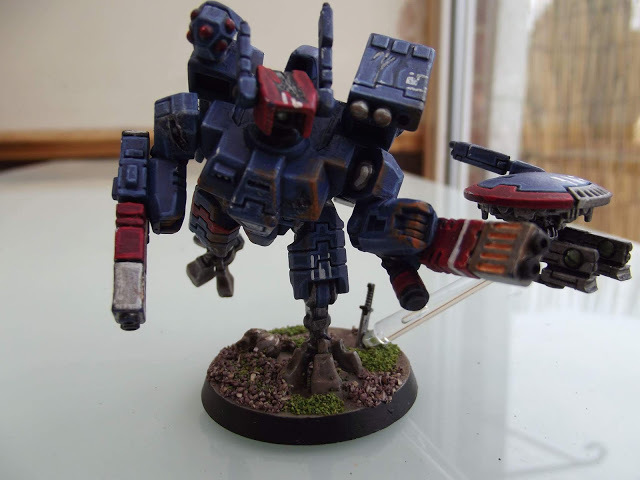 Tau Crisis Battlesuit – jump pack.